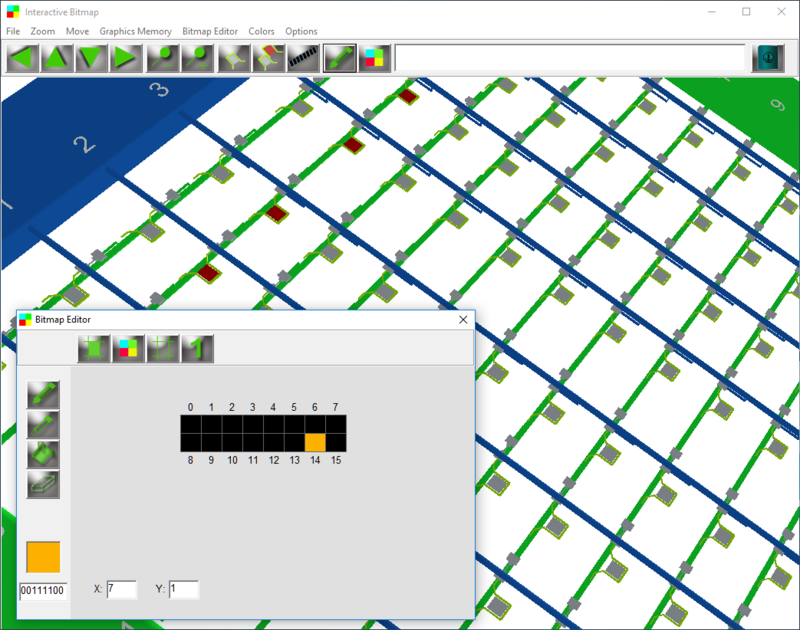 Interactive Bitmap simulates the process of setting block pixels on a bitmap. 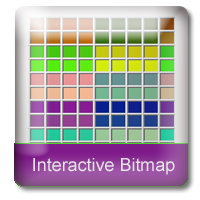 Interactive Bitmap shows how bitmaps are made and stored. Useful to demonstrate color palettes, binary color numbers and VRAM. Shows how bitmaps are created with colors down to binary level. The program has three main parts. A Memory window with VRAM. A Bitmap editor and a color palette. The 8 bit color palette is used to set a color in the bitmap editor. The student then sets a pixel block with the color. The VRAM is then set with the binary number that represents the color number at the pixel location. This corresponds to the VRAM memory address.